ITG’s expertise in electronics sets us apart from the rest. 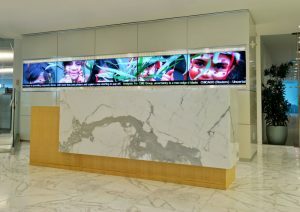 Let us design and install your digital signage and media wall displays that will allow you to stand out among others. Contact us today to explore the possibilities for your restaurant, bar, hospital, bank or corporate lobby.